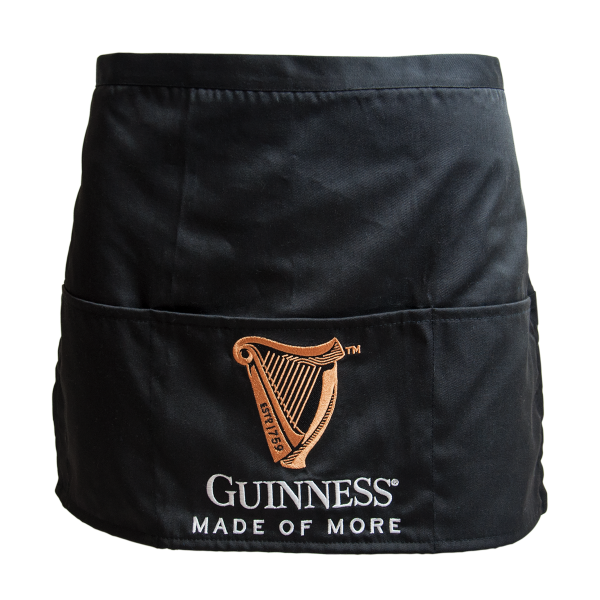 This Guinness Half apron is fantastic for the man or women who loves to cook. The apron features the Guinness Harp Logo across the chest. The apron comes in black with 2 x large pockets made from a 100% Cotton material Machine washable. One Size Dimensions, Width: 70cm Made from 100% cotton. Official Guinness merchandise Suitable for barbecue season.